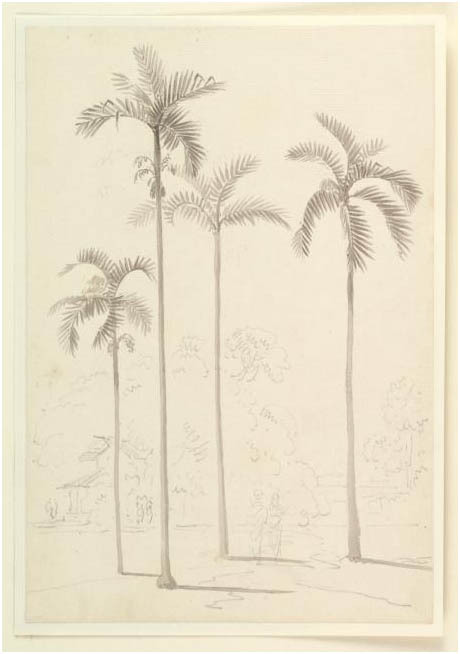 The idea for a botanical garden was first tabled in the summer of 1786 by Robert Kyd, a Secretary to the Board in the Military Department of Fort William, as a potential safeguard against famine. But it soon became something much bigger and more ambitious. In a letter dated 20 November 1787, Kyd sets out his vision for the garden to be part of the wider pursuit of scientific knowledge. 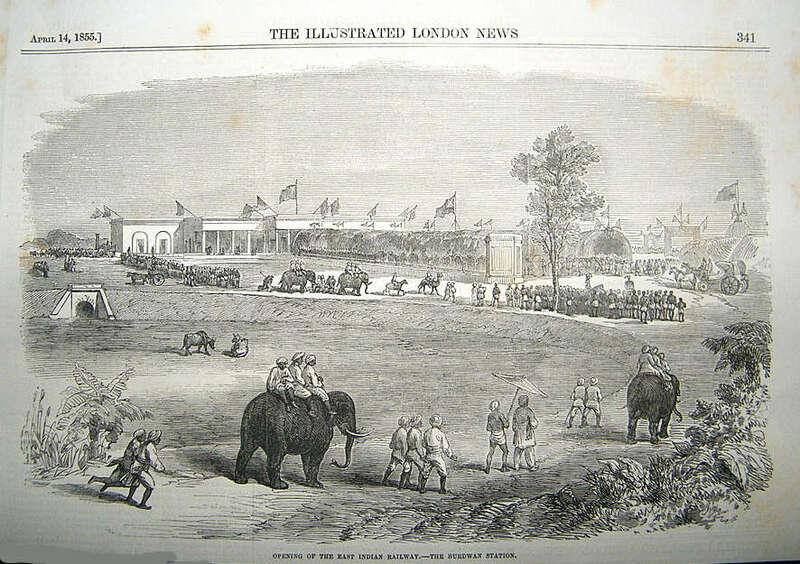 Gradually the East India Company (EIC) did begin to actively support Kyd’s initiatives. 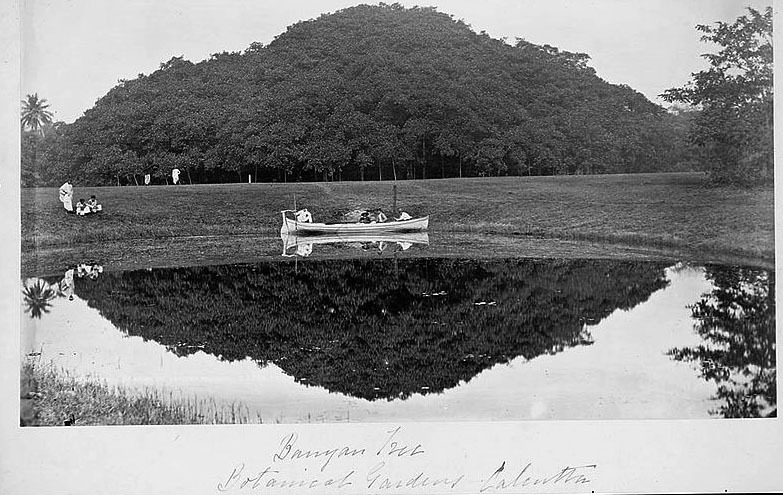 The botanical garden in Bengal was one of the first instances of this support and it made the Gulf a part of an expanding European scientific enquiry that Kyd hoped might ‘add to the Fund of General Knowledge’. In response to an official request, the EIC Resident, Edward Galley, received in October 1787 from Persian Gulf a gift of six exotic plants. 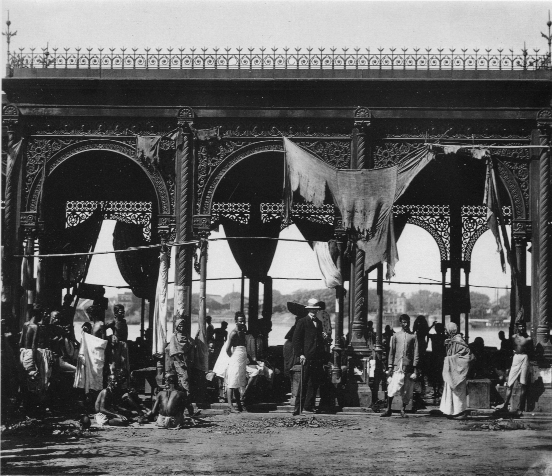 Besides the ‘Bussora Date Tree’ and the ‘famous Persian Tobacco’, there was also a tree that produces Varnish Gum. 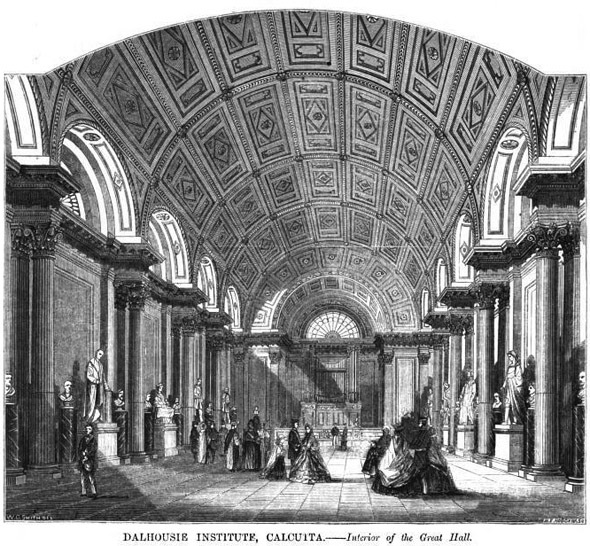 “Previous to 1835, all the larger educational establishments supported by Government, with the exception of Hindu College of Calcutta, were decidedly oriental in character” [Review/ James Kerr] . 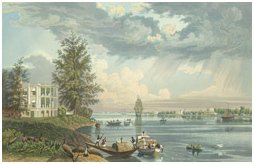 The Hindu College, Calcutta was the earliest institution of higher learning in the modern sense in Asia. The meeting proved to be quite satisfying to Sir Hyde East. 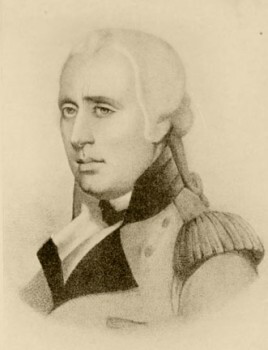 Four days after he wrote to J A Harrington, his friend, that one of the singularities of this meeting was that it had brought together members belonging to various castes whom nothing else could have done. This letter did no mention of the name of David Hare, though he was the ‘originator of the plan’, neither the meeting papers did. That might be because of Hare’s usual reluctance to come in the forefront. 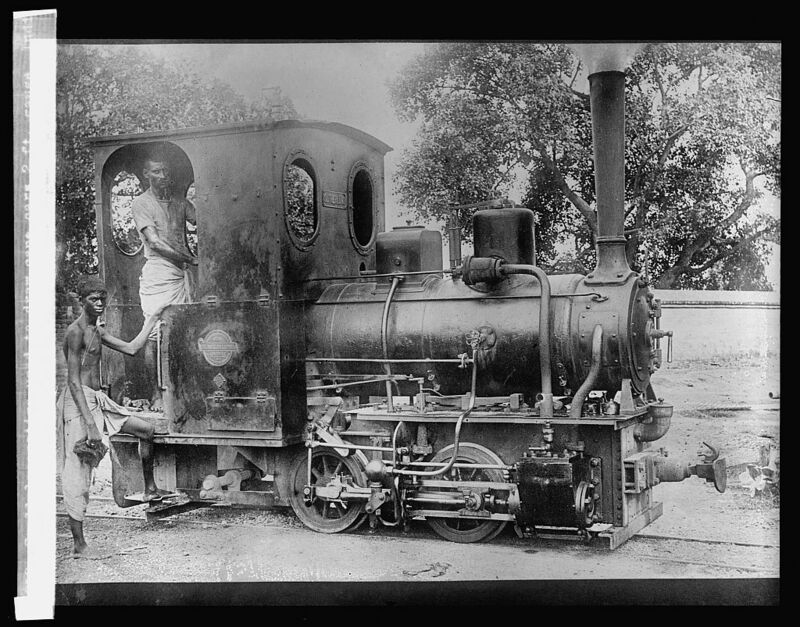 The case of Raja Rammohun Roy however was different. Although his august name has almost always been found in history books in association with the Hindu College, the fact remains that “Rammohun retired, even before the foundation of the College was formally resolved upon.” He decided to step aside to ensure cooperation and supports of the orthodox Hindus who were not in a mood to help the cause if Raja Rammohun remains connected. The meeting was received with unanimous approbation of all those present including the most eminent pundits, who sanctioned their express support. A large sum of money was immediately subscribed. The fund was later multiplied by the donations presented by Maharaja Tej Chand of Burdwan (Rs 12,000), Gopee Mohun Tagore of Pathuriaghata (Rs 10,000), and the Mullicks of Burrabazar (Rs 25,000). 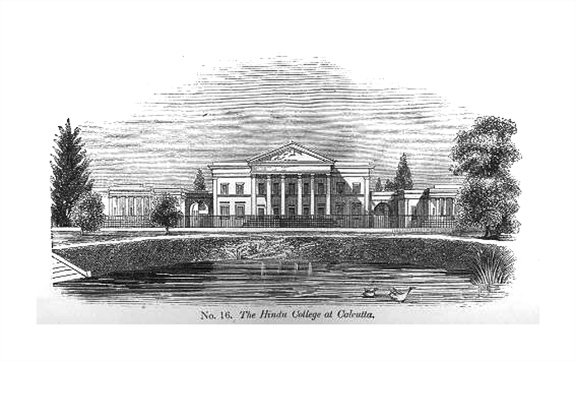 The second meeting, held on Tuesday the 21st May 1816, resolved that the name of the proposed institution was to be “Hindoo College”, and a General Committee was to be appointed for setting its objectives. 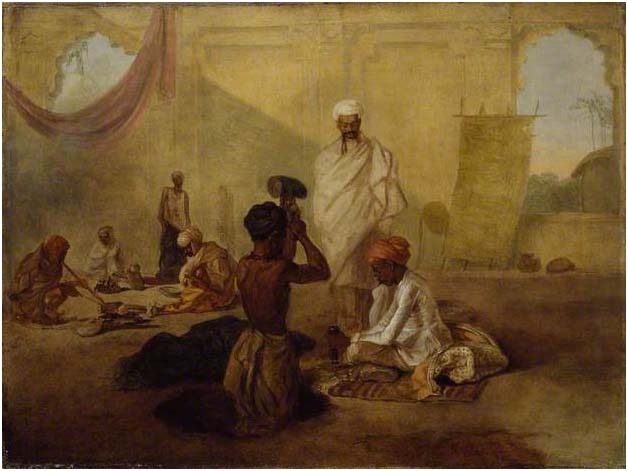 The Committee was composed of 10 Europeans and 20 Indians – all elite and enlightened members. In its next meeting on the 27th May, Lt.-Col. Francis Irvine and Dewan Baidyanath Mukherjee were appointed as the European and ‘Native’ Secretaries, respectively. The European members, however, withdrew themselves in a body when the Committee met next on 11th June. Their withdrawal was volunteered in accordance with the contemporary governmental policy of non-interference with the local educational affairs, as indicated earlier. Committee continued to work at the same venue. 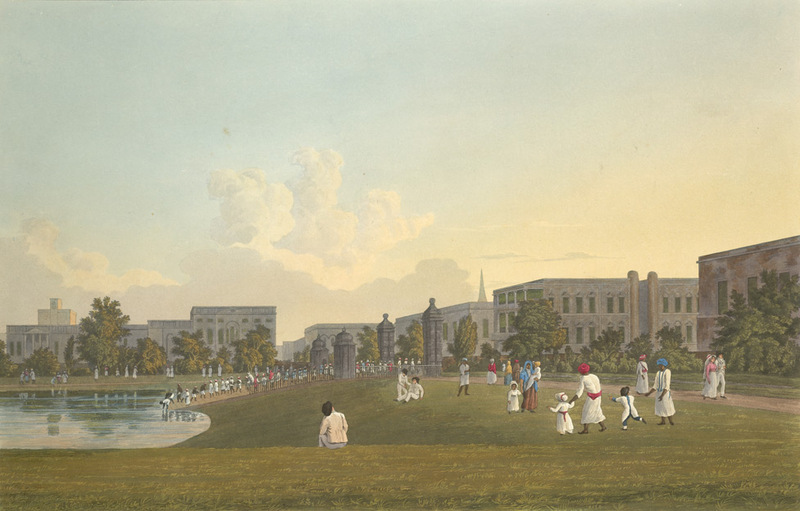 On the 25th June, a sub-committee was appointed, which worked out the Rules for the College, and submitted those on 20th August 1816 to the General Committee for finalization. The Rules, 34 in number, were divided in 3 sections, viz. Tuition, Funds & Privileges, and Government. 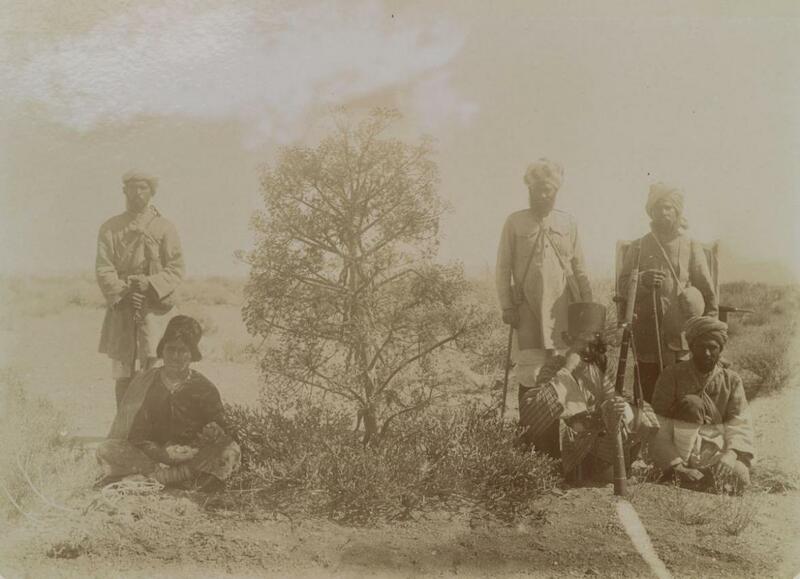 The primary objective of the institution was defined under the Rule 1 as “the tuition of the sons of the respectable Hindoos, in the English and Indian languages and in the literature and science of Europe and Asia. The set of Rules provided the essential functional framework for the College to begin with. It stated that “the College would include a School designated ‘Pathsala’, and an Academy, designated ‘Mahapathsala’”; that “the work of the school should commence first”; that “the English language shall not be taught to boys under eight years of age, without the permission of the managers in each particular instance.”; that “In the school shall be taught English and Bengali, Reading, Writing, Grammar and Arithmetic by the improved method of instruction”; that “in the Academy besides the study of such language as cannot be so conveniently taught in the School, instruction shall be given in History, Geography, Chronology, Astronomy, and Mathematics, Chemistry, and other sciences”; and many other. The Committee met on December 12th 1816 to settle appointments of teachers. In its next two meetings on the 6th and the 13th of January 1817 the Committee completed the groundwork for the College to take off. The first batch consisting of 20 male students,13 of them as ‘free scholars’, hailing from Bengali Hindu families, attended their class in a rented house of Gorachand Basak at 304 Chitpur Road, Garanhata, marking the beginning of Hindu College. Between the year 1817 and 1823, the school moved about from place to place. 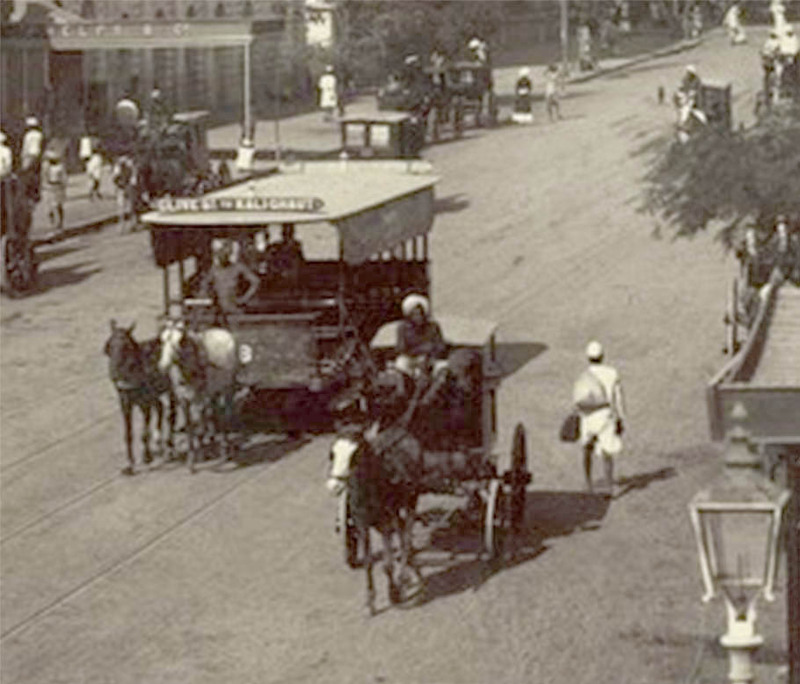 From Basak’s the class shifted to the house of Roopchand Roy in Chitpur Road, and thereafter to the house of Firinghi Kamal Bose, a friend of Rammohun, at 51 Upper Chitpur Road, the place where the General Assembly’s Institution publicly started later. 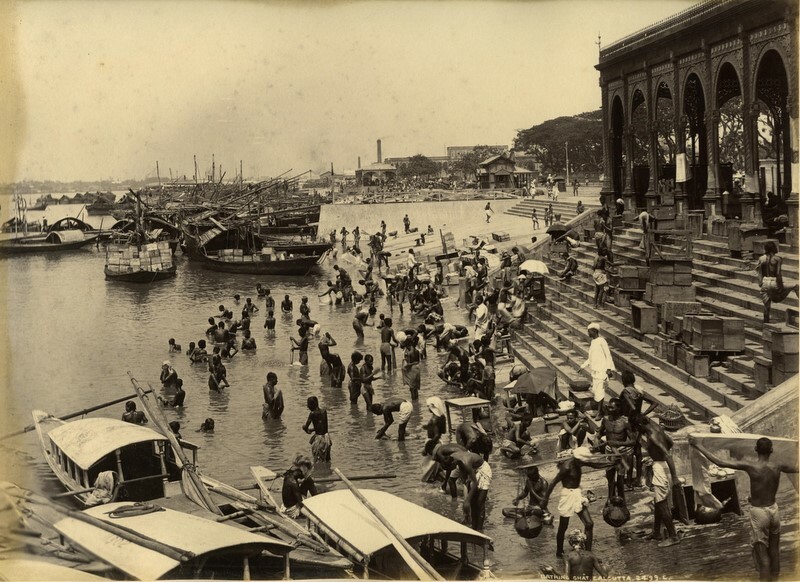 Its next flight was into the heart of the Bow Bazar, and from there the College moved off to a scarcely more congenial vicinity — the well known Tiretta Bazar. In the mean time the Government had resolved to establish a Sanskrit College supported by an annual grant of Rs 30 thousand. The building was planned by B. Buxton and constructed by Burn & Mackintosh. 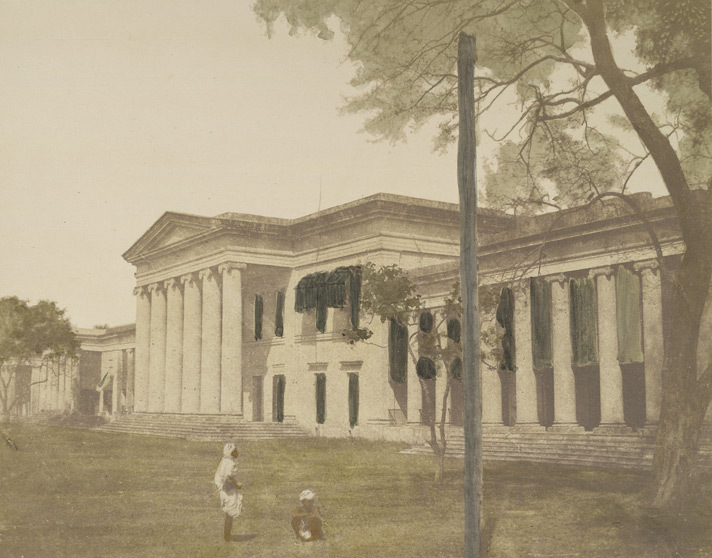 See the – Hand-coloured photo-print, by Frederick Fiebig in c.1852 Agreeing with the proposal initiated by David Hare, the Government decided later to accommodate the pathsala and the Mahapathsala sections of the Hindu College under the same roof of the proposed two-storied Sanskrit College building in its two one-storied wings. For the erection of the building the Government granted Rs. 1,24,000 and “Mr. 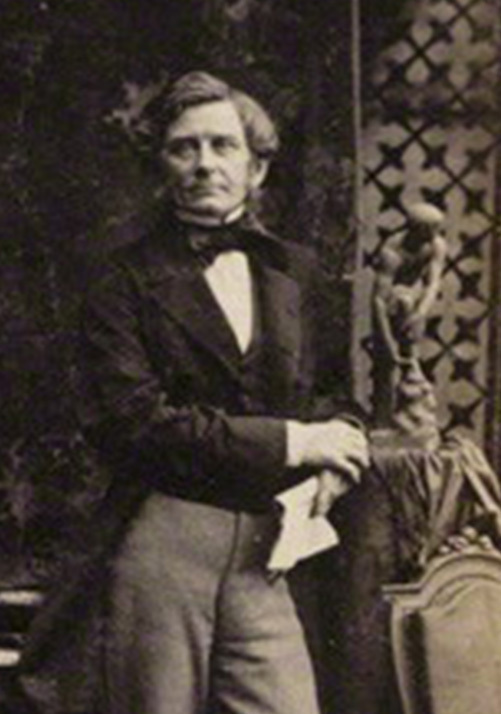 David Hare gave up for the benefit of the College the piece of land he owned on the north side of the Gol Dighi. 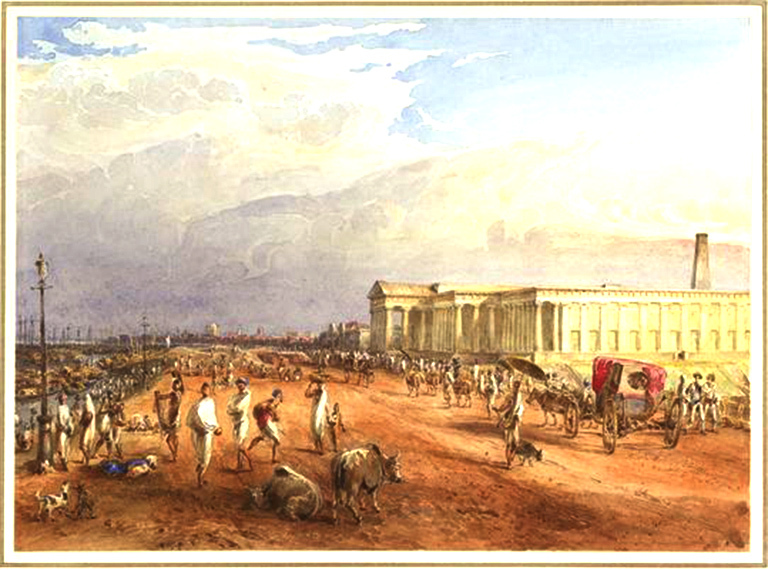 The foundation stone of the building was laid on the 25th February 1824. Three years elapsed before it was ready for the reception of the students. [C. R., June, 1852, pp. 346-48]. 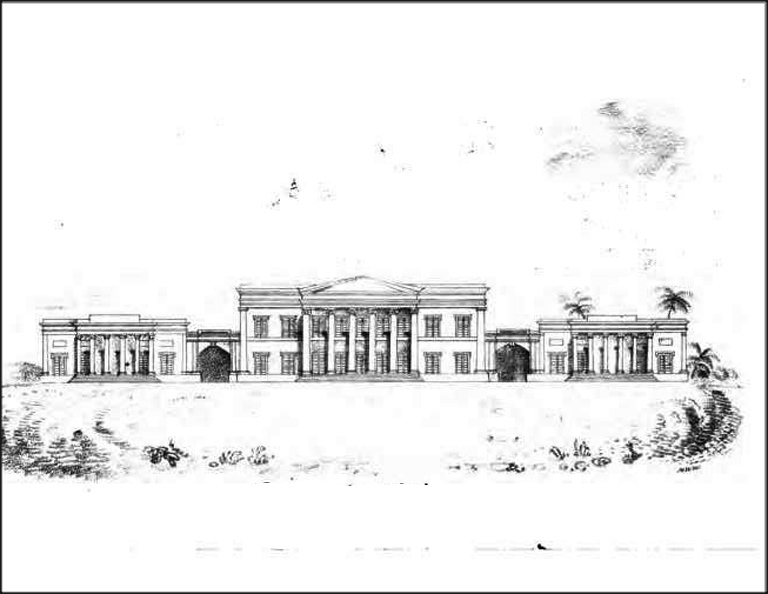 On 15th June 1854, the upper section of the school, the Hindu Mahapathshala or the Hindu College, was made an open center for modern liberal education and was separated as Presidency College. The junior section, Pathsala, gained independent status as ‘Hindu School’ – a national heritage of institutional education, history and reform. The Hindu College, produced the brilliant flowers of ‘Young Bengal’. Kindled by the teachings of their tutor Vivan Derozio, youngmen like Dakhinaranjan Mookherjee, Ram Gopal Ghose, Tarachand Chakravarty, Krishnamohan Banerjee, Ramtanu Lahiri and many others, brought out a revolutionary change in the society by their thoughts and deeds. By them, “a powerful and gigantic social movement was unleashed in Bengal the repercussions of which were felt all over India”. 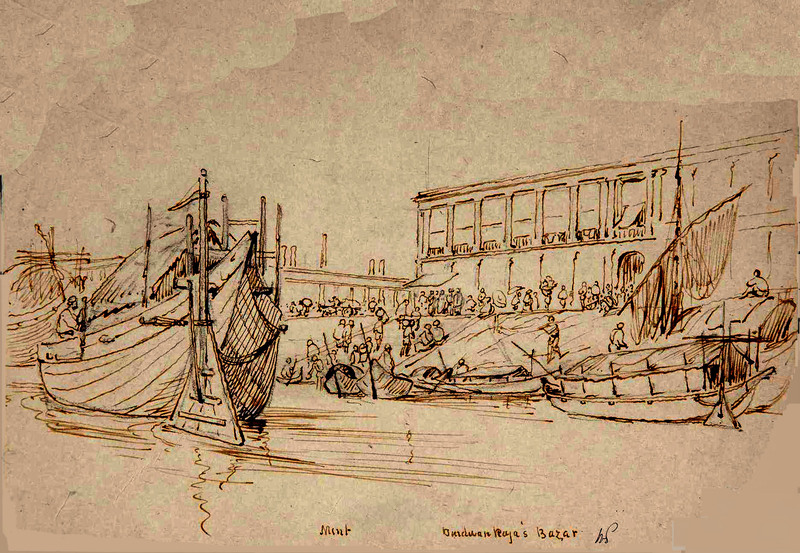 Above, the black and white sketch of the three-part building, captioned HINDU COLLEGE, with the pond GOL DIGHI in front, was drawn by an anonymous contemporary artist. 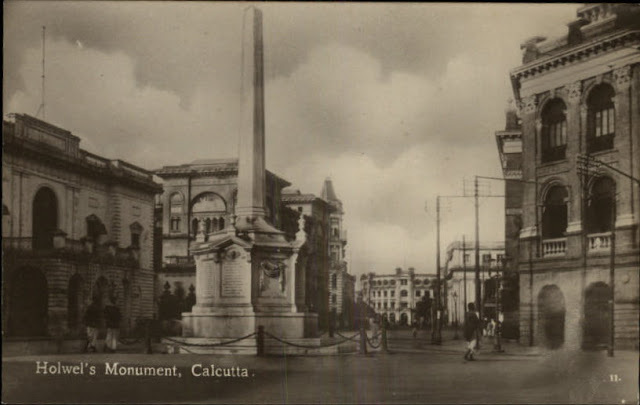 The Sans Souci Theatre and Its immediate predecessor, Chowringhee Theatre, were greatly instrumental to the Bengali enterprise in the theatrical line, culminating afterwards in the establishment of the Belgachia permanent stage. The Sans Souci Theatre was opened in 1839 i.e. after the Hindu Theatre and Nabin Babu’s theatre at the house of Babu Nabeen Chandra Bose. 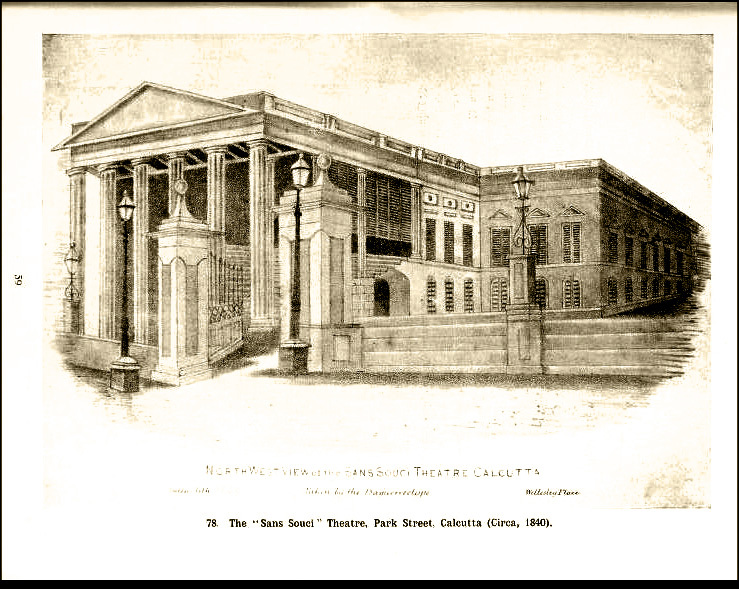 After the destruction of the Chowringhee Theatre, a temporary theatre under the title of Sans-Souci was initiated by Mrs. Esther Leach at the corner of the Government Place East, Waterloo Street. The upper flat of the Building was occupied by St. Andrew’s Library and the lower flat that looked more like a godown was converted by Mrs. Leach into an elegant theatre large enough to accommodate 400 audiences. Sans Souci performances continued here for about a year till the larger house was being reared on her account’ at No. 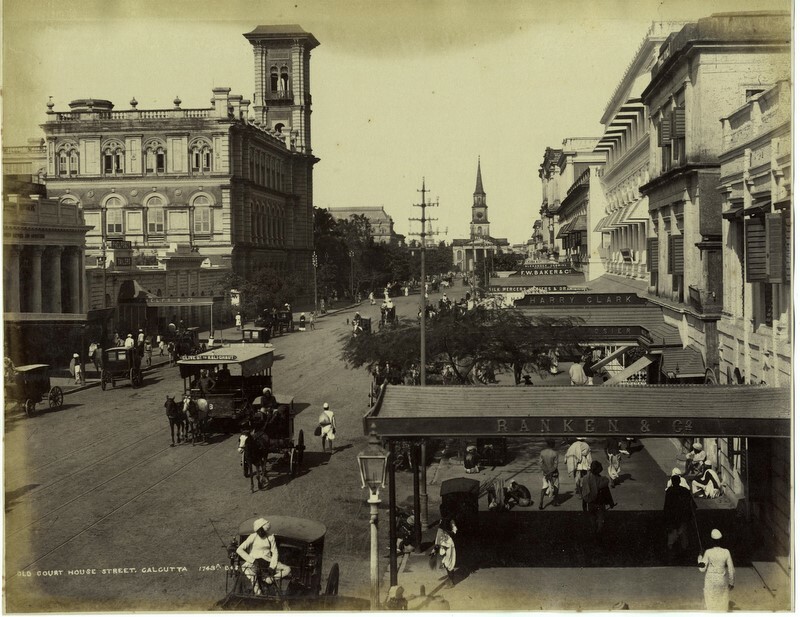 10 Park Street where the St. Xavier’s College now stands. The Sans Souci theatre was an enormous building resembling the Greek Parthenon with six Doric columns. The structure of the theatre measuring 200 feet in length and 50 feet breadth was built with a handsome portico in front. The stage occupied 28 feet in breadth, 50 feet depth, the space concealed from the audience above and below being appropriated to the green rooms etc. 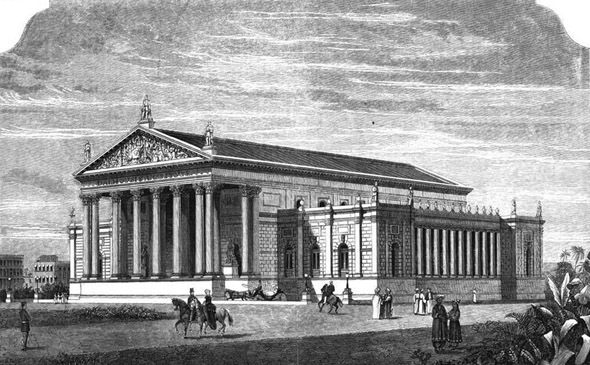 The theatre building, elegantly designed by the architect, Mr. J. W. Collins, was completed in May 1840. To meet its funding requirements, subscriptions came in liberal response, the last being headed by Lord Auckland and Prince Dwarakanath Tagore who contributed Rupees one thousand each and the total amount of the subscription rose to Rs. 16000. This also included some money contributed by Mrs. Leach herself. Mr. Stocqueler, Editor, Englishman also offered his services to help her in her noble enterprise. The construction and the interior fittings including scenery and wardrobe cost Rs. 80,000/- the rest being raised by the mortgage of the property.